Bladder cancer (BC) is one of the most common tumors. Metabolic reprogramming is a feature of neoplasia and tumor growth. Understanding the metabolic alterations in bladder cancer may provide new directions for bladder cancer treatment. Sirtuin 1 (SIRT1) is a lysine deacetylase of multiple targets including metabolic regulators. In pancreatic cancer, the loss of SIRT1 is accompanied by a decreased expression of proteins in the glycolysis pathway, such as GLUT1, and cancer cell proliferation. Thus, we hypothesize that SIRT1 may interact with GLUT1 to modulate the proliferation and glycolysis phenotype in bladder cancer. 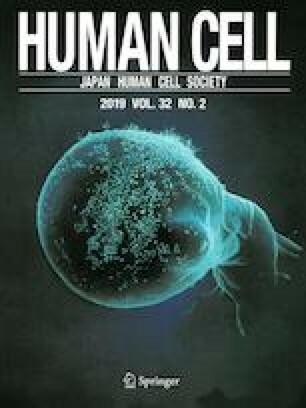 In the present study, the expression of SIRT1 and GLUT1 was upregulated in BC tissues and cell lines and positively correlated in tissue samples. SIRT1 overexpression or GLUT1 overexpression alone was sufficient to promote cell proliferation and glucose uptake in BC cells. EX527, a specific inhibitor of SIRT1, exerted an opposing effect on bladder cancer proliferation and glucose uptake. The effect of EX527 could be partially reversed by GLUT1 overexpression. More importantly, SIRT1 overexpression significantly promoted the transcriptional activity and expression of GLUT1, indicating that SIRT1 increases the transcription activity and expression of GLUT1, therefore, promoting the cell proliferation and glycolysis in BC cells. Our study first reported that SIRT1/GLUT1 axis promotes bladder cancer progression via regulation of glucose uptake. The online version of this article ( https://doi.org/10.1007/s13577-019-00237-5) contains supplementary material, which is available to authorized users. This study was supported by Hunan Provincial Natural Science Fund (2017JJ3108).